On top of WMAX, the usual regional Tr ‘pests’ located within 70-200 miles that are heard when 96.3 WHUR’s IBOC is off (Norfolk’s 96.1 WROX, Eastern PA’s 96.1 WSOX, and Richmond’s 96.5 WKLR) were received, along with ultra-rare station 96.1 WKST Pittsburgh, PA @ 187 miles. 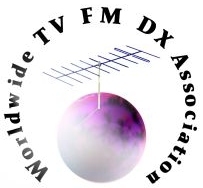 In almost 20 years of DXing, I’ve only received WKST once, in 2006. 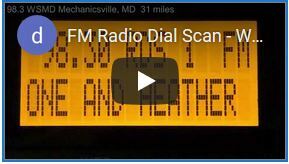 This isn’t the first time 96.3 WHUR’s IBOC being off allowed me to log a new station. In October, the station’s IBOC was off-air for about a day, allowing me to log new station 96.1 WCTO Easton, PA. The above audio file has been added to my Audio Files page. I’m in the process of reformatting my DX logs, so although the stats are updated, WMAX will be added to my FM log very soon.